There’s a furious amount of activity behind-the-scenes at the moment getting the new website ready for launch, probably in the middle of April. As part of the work, the team really wanted to be able to put faces to the names of the characters so you could start to get to know them. We really need to build on online showcase for the musical so that you can read and see what it’s about, hear the trial tracks and watch some of the workshopped and videoed performances. There are now multiple people in TeamSerendipity performing for different characters, and it really helps us test the characters, songs and dialogue. So whilst this help is great for us, we wanted some faces for the characters that wouldn’t change. 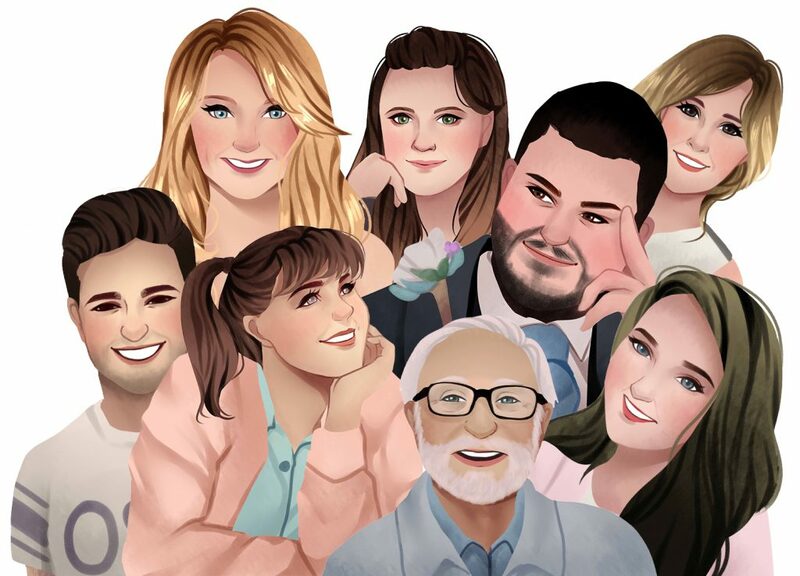 We found a fantastic digital artist from Vietnam on Fiverr, called Danlib, who has drawn our characters to order, and this is the first look at how we see the full cast! There are some familiar faces in this lot, but we’ll blog about that another time!